It is possible that almost everything I’ve been lead to believe about yellow paint colors is a lie. And that misconception is, to be verrry careful or you’ll have a big blinding mess of YELLOW in your face. It is true that a little dab of yellow will do ya. Or is it? Recently, I started to rethink this. The other day, you guys might recall that I posted an image of William McLure’s gorgeous dining room with the bright yellow walls. I’m quite mad about this room actually. First of all, I have never painted a room this intense a yellow. In fact, there are a lot of colors I’ve never been able to use because I live in quite a conservative area and it’s an uphill battle. You mean like the emperor thought that Mozart’s composition had “too many notes?” No, I didn’t say that, but it took a lot for me to not convey my horror. Okay, horror is a little strong a word for paint that was “cut by 50%,” whatever that means. They mixed up two quarts of the color and then put in 2 quarts of the base? I dunno. In this case, they went from sage to Crest Toothpaste. The point is… there would be a snowfall in June before I would get to do something like William McLure’s fabulous dining room. In defense of those who hate yellow, it is true. If you don’t use it correctly, it could create a hell of a room from which there is no escape until the guys in the white coats come to take you away. There’s a reason one is not supposed to look at the sun. Remember this handsome dude? He penned along with a bunch of others the Declaration of Independence and was the third president of the USA. Thomas Jefferson. And some of you know what’s coming. He built this magnificent home in the manner of Andrea Palladio who we discussed here. This drawing was done by Jefferson who obviously had keen architectural skills, in addition to being a statesman. The building of course, is Monticello. Well, it was at that time, that someone developed a color called “Chrome Yellow.” It was all the rage–if you had the bucks to afford it. The figured out a way to make this super saturated yellow with synthetic pigments. I read that previously, one of the ingredients for yellow pigment was cow urine. Are you kidding me??? Fragonard was one of the first artists to use the synthetic pigments in his celebrated painting. And President Jefferson (before he was president) used it in his magnificent home that he designed and had built. Oh, how I wish there was a painting or something, but no. I couldn’t find anything. Then, I don’t know what happened, but for quite a while, the main dining room at Monticello looked like this. Yawn. We really should’ve stayed united with England. I mean, it’s nothing objectionable, but that’s just it. It’s utterly banal—a woosy color for a room so grand. Well, a few years ago, they decided it was time to repaint and I’m not sure how it came about, but Ralph Lauren got involved and donated the paint and then put it in his line. And he calls it Monticello Yellow. And here is the beautifully restored dining room. It makes my day when they put back stuff the way it was originally intended. Love the plain white swag. Excellent choice. Have to say that I rather love it. BTW, if you are looking for a Benjamin Moore equivalent the Ralph Lauren color, please check out these two colors. Also, please have a look at Pratt and Lambert ALE. My fan deck is almost as old as Thomas Jefferson, so the number might have changed. Mine says 1723. And Farrow and Ball BABOUCHE is very nice too. It’s not easy to find rooms in this color. But, this saturated yellow is actually a very classic color. There have been others who’ve embraced these strong, saturated yellow paint colors. I’m sure that many of you recognize Nancy Lancaster’s iconic room for the Colefax and Fowler show room in London. I’m not sure when she decorated this, but she bought the business in 1948, so it was probably around then. I think this particular iteration was a recreation of her original design. It appeared several years ago, in the magazine, The World of Interiors. Above and below, two recent images of the Colefax and Fowler showroom in London. They recently moved after many years at this address. Another iconic English designer, Jasper Conran. It’s ironic to me, that he’s associated with contemporary designs, but his taste obviously runs otherwise. I could definitely live here! Another historic room with yellow walls. I so wish I could see more and also the original source. If someone knows, please let me know. A recent room using Benjamin Moore Sun Rays Designed by Annie Elliot of Bossy Interiors. Great name. This image appeared in Apartment Therapy. Fabulous yellow fabric in the Chinese Pavillion at Drottningholm. I admire that lad’s courage. His rooms are like a garden of exotic delights. So, let’s examine what it is that makes these saturated yellow paint colors work? Here is a board from my paint palette collection. I thought I had shared it but couldn’t find it in my image library, so maybe not. This is Benjamin Moore LEMON GROVE, one of the colors in the Laurel Home Paint Collection. It is by far the jazziest one, but the idea is to have a wide variety of colors. These bright saturated yellow paint colors love white, cool tones and muted colors too. Sure, one can have some bright tones, like Miles did. But I love the cool rich tones of old art with these bright yellow colors. I put this image of an excerpt of my zuber screen on instagram. Hey, I’m about 100 shy of 5,000 followers. My birthday is Tuesday, maybe you can help me reach that goal by then by following me. I am trying to post once a day. I will never take over your feed with tons of images. And here’s the screen in my Hawthorne Yellow living room. How do you feel about these saturated yellow paint colors? I have to be honest. I love them in the photos, but not sure if I have the courage. Well, I would have the courage to do William’s dining room. And then the rest of the house could be mostly white. Did anyone notice my new pin it button? I have it set to be on all the time. If you find that super annoying, I can set it to hover. That’s on desk top/tablet. On mobile, it won’t hover, but at least it’s finally THERE! I was so happy when I got that to work! I know that a lot of you are reading the blog on your phone and now you can pin away to your heart’s content! For those of you interested in the Super Bowl, hope the game goes well for you! I’ve never had any interest in football and don’t understand the appeal. But that’s what makes the world a more interesting place. It would be pretty dull indeed, if we all liked exactly the same things. Yes! I have seen that post on pinterest and read it and your blog numerous times! Beautiful blog and graphics and reporting on paint colors. Thanks so much for stopping by. I love your blog its my go to for paint design and colour. I recently discovered your blog and am loving it. Subscribed, too. I ALWAYS overthink and over research my design decisions, but I also enjoy the process. And your blog has become a fun part of it! When I was a teen, I picked a really bright yellow for my bedroom, and didn’t like it for long. Maybe that is why I am unsure of my design choices as an adult! I am currently working on a kitchen refresh project consisting of painting my oak cabinets white and replacing the brown/beige/orange granite on the counter AND back splash with white quartz and a tile back splash. The walls will also be repainted. And that brings me to my question. Clearly I am trying to make my kitchen lighter, brighter and “happier” looking. I know you don’t provide color consulting via emails or blog questions, but I was hoping you could advise on color theory that would help me. I’m probably painting the cabinets your beloved Cotton Balls or Simply White. The back splash tile I will likely select is an opaque, matte glass that is comprised of beige, pale green and light blue (sort of a beachy look). So, if I want to emphasis a sort of sunny, airy feeling and am thinking of either a greige or green for the wall color, how do I know if a green or a greige will be more likely to pull out the happy from the tile? And will darker or lighter walls lead to a more cheerful look? Once I have a better idea of what colors will work best I will of course do tests, but I don’t want to test 20 colors! One thing that will help a lot is to purchase my paint and palette collection. It’s in two parts–nearly 500 pages chock full of information. The collection is 144 of the best colors, including cabinets. You should’ve gotten my free guide on how to select colors but if you didn’t it also comes with the paint product. Oh, so sad to have your childhood home gone forever! 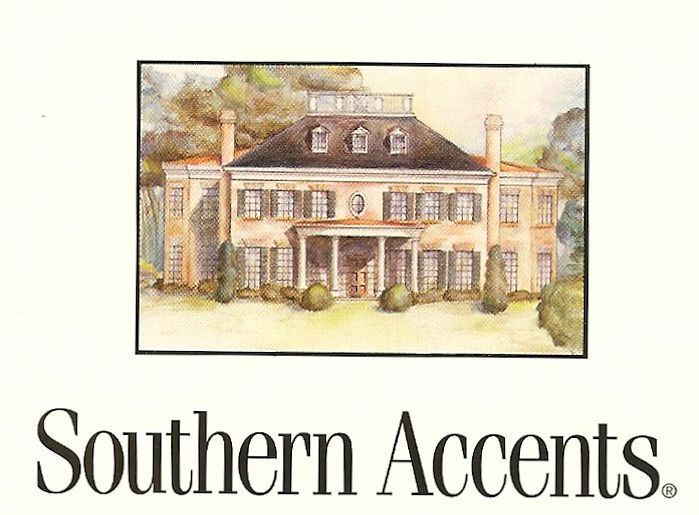 Sideline on Poplar Forest: Fall 1999 Southern Accents devoted that special issue to their Capital Design House, based on Jefferson’s Poplar Forest. I continue to save it & there is LOTS of yellow. I’m thrilled to have found you! I’m a newbie to your website/blog and have gone “full in” with your products. Although I’m not a designer, I am a dreamer, and with your help I am spending many happy hours learning, experimenting & having fun with my home. I am giddy with your post today, as I painted the foyer of my traditional home Martha Stewart’s “Broomstick Yellow” several years ago. With the white wainscot & trim, black front door (inside & out), antique grandfather clock and walnut parquet floor (called Monticello nevertheless), I see why it looks so fabulous! Now I know the little chair needs a leopard print cushion! Everything else is there, blue & white accents, muted paintings on the walls & I suppose I’ll call the hunter green dining room off to one side, the touch of green that’s missing…..hmmm, maybe I need a bright green vase on that hall table to bring the green in from the outside….I’ll dream on. Thank you! Wow! Thank you for making my day! What a lovely comment. About 20 years ago we put Ralph Lauren “Citrus” in the front hall. I think it’s discontinued by now, but my excellent painter got it matched in a recent re-painting. I love it every time I pass through that room, a pure yellow with no green, even when the trees outside are casting their shade through the windows. The front hall sounds very lovely! First, let me say Happy Birthday. Hope your day is full of joy! On a grand scale I think it’s magnificent. In my house…nooooo way. That said, I have soft gold in my house. Do you use golds much? Right now my dining room is a blank slate…wallpaper of 20+ years is gone….yeahhhh! So what to do? And yes, it’s not easy, but it helps to consider your other givens and to figure it all out in terms of total composition. For instance, what is going on the windows? Is there a rug. What is the furniture? Style, color, etc. And then the other rooms. Laurel, you are my biggest hero…but, 99% of these yellow rooms pictured…I just have two words… NOPE and NEVER. 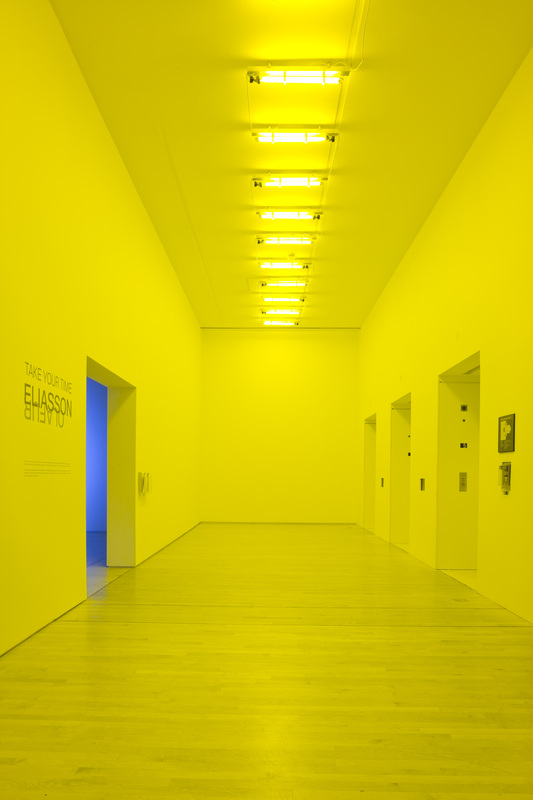 Something about these electric yellow walls doesn’t jive with me. Actually they kind of make me physically a bit nauseous. It is too much. I do have yellow and blue accents in my living room, in form of yellow and blue chinoiserie, old yellow-spined books in form of old encyclopedias, and paintings with yellows and blues, but I could never do more, like bright yellow like walls, in a room. I agree, in a normal house this and a LOT of colors won’t work. Or else won’t work with a lot of artifice added to make them less normal. I read that as plain. I think indeed you need lots of other colour and plenty of white to make such strong yellow walls look beautiful — and plenty of light. For yellow rooms, don’t forget the idea of a print room, with the yellow as a background to black and white, or sepia, prints. There’s a very successful one at Uppark in Sussex, and as I remember it, the yellow ground is more saturated than the impression given by the pics in this series from the National Trust. I would say perhaps F&B’s Yellow Ground n° 218, a slightly paler version of Babouche. Yeah, better to test, but if it’s a strong yellow, it absolutely will look terrible until the furniture, art and accessories are in. Absolutely love your posts … Informative and funny! I simply can’t warm up to the idea of saturated yellows in any context. Soft buttery yellow, yes, in moderation, but not the intense hues. I find that saturated yellows are fast moving. Too much time in its presence can agitate and lead to nervousness. It can also make people more analytical and critical ofthemselves and others. Perhaps that’s why it’s not used in hospital or educational institutions? Just thought I’d put in my 2 cents worth! Colour utimately is a personal choice. Wow! I am loving your comments today as always but can’t quite keep up just now. I have to run out for a while but I promise that I will answer every one as soon as possible. Yes. Very clever guys – both Thomas and Ralph. Thank you for your pretty yellow post. Color is SO important. I have a friend who has one of the most enchanting houses I have ever seen. It’s a small house, not one of these huge edifices that seem to be so fashionable now. It has more of a cottage look, but bigger than what might qualify as a cottage, with beautiful Pierre Deux furniture. She has done much of the interior in bold shades of yellow and blue and it’s beautiful. Thanks so much for featuring yellow! It is one of my favorite colors and very underused I fear. For years I had my kitchen pained Restoration Hardware’s Butter and it got compliments all the time. I am moving into a condo in a few months and the Living Room will be done in Farrow and Ball’s Versailles wallpaper in a discontinued yellow colo(u)rway BP2612. 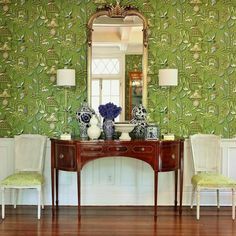 (http://www.kentblaxill.co.uk/home/designer-wallpapers/farrow-ball-wallpaper/floral-patterns/baroque-versailles-papers/baroque-versailles-papers-bp2612?qsf=1&Option%201=&Option%202=). Hooray! I’m not alone in my “not getting it” about football. okay, laurel, I’m #4960, happy early birthday! 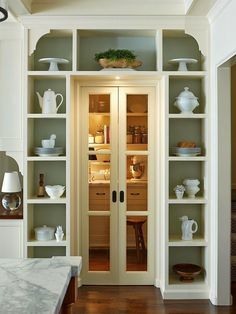 Do these beautiful saturated yellows look stunning because of the high ceilings and because (as many show) they are offset with white on the lower part of the wall? Maybe it was the lighting. Everyone looks gorgeous at night in my yellow living room. Thought immediately of Monet’s dining room at Giverny. I googled it to remind myself and saw some images with a peachy wall and yellow trim instead of the all yellow that I’m used to. I googled it and would definitely say that it’s yellow. Laurel, how would these stronger yellows hold up with Western exposure? I once painted a West facing room Monroe Bisque, not even close to the shades above and when the light changed in the afternoon, that room looked awful! Well, yes Monroe Bisque is a warm beige. Not close at all. It drives me a little bonkers with the light thing because a West facing room is like an east facing room in the morning. But it’s also why one must look at a large sample at different times of the day and also different parts of the wall. Hi Laurel, Such an interesting post this week both aesthetically and historically. Yellow is a beautiful ,happy color and as you pointed out when it is executed appropriately it looks fabulous, I just reread one of your recent posts……you grew up in Evanston Indiana? I grew up on Long Island and I now reside in Carmel Indiana and my design practice is affiliated with the Indiana Design Center in Carmel. Wondering if you ever get back to visit your home and if you would ever consider speaking at the design center? I grew up in Evansville, but maybe that’s a typo. Although it’s a common error. Evanston is near Chicago and I’m at the other end. Carmel, is near Indy, right? Our living room which faces south and has 7 windows on three of its walls, is painted a bright yellow but then I sponged over it with a lighter yellow. It is always a sunny day in there even in the middle of the cold dark winter. I love going in the room to perk up. This is fun. I see that there are so many different views! I agree that the dark woods, always some black (unless you’re Miles Redd – lol. I noticed that there is no appreciable amount of black in the midst of all of that color!) I also like it best when there are healthy amounts of white, but even then there are exceptions. I’m so not a fan of yellow and I’ve only spec’d it twice in my career (BM Vellum and Barley…they were rather pretty but mild and in a kids room). I suppose it could be done right but to me it would be like walking into a house that had roosters as accessories. Maybe I’m just a dull and boring person! No, not dull at all! Vellum and Barley are more gold. 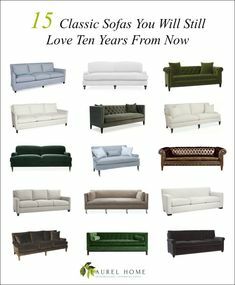 I’ve did the latter in a living room about 10 years ago with cream colored sofas and plain cream cotton Roman shades and it was so, so pretty! I love that you’ve done this post, it’s weird timing for me to read, and I think it’s so interesting! I’m drawn to warm colors and have always liked yellow, but have never had the guts to go *quite* this yellow. First of all, this is not half as long as the world’s longest and the longer the better. And believe it or not, for purely selfish reasons. But, it also means that people are inspired and enthusiastic and I love that too! I try to produce posts that readers will want to know about, but sometimes they don’t know that they want to know about something until exposed. That happens to me too and that’s how we grow as designers. I’m always heartened when I hear that the blog is helpful. That was my aim from day one. Be super helpful and give a pleasant respite from the difficulties that life presents. I love this post as you can see from my website on one of my galleries called “Warm and Sunny Custom Home” that I too love to help client’s decorate with yellow. Recently, however, I had to help a client remove most of her yellow for staging purposes and it almost broke her heart. We ended up using warm tones of tan and off white to fill in where the strong yellow once was. Yellow to me, is warm, inviting, and goes with so many other colors like greens, brown, blue, red, pinks, and even the new color rage of grey. Thanks for reminding us how effectively this classic color can still be used. I love yellow! Have a yellow living room and it looks cheerful in winter and in summer also!!! Not as bright as the chrome yellows, but in some of the photos presented, it may correspond similarly. All of your choices, I will pin! I’m a designer living in Toronto and love peeking at your post. Re the acidic yellow— I could never do it, but admire those who can. We all react differently to colour, and “see” it in different ways I think. Love, love the screen in your oh so yellow living room…but I would hang it on the wall myself!! Write on, and yes, happy birthday too. there was a zero lot though as they call them here..the neighbors’ wall is a couple feet from yours, as if it was a condo. i think our condo had much more privacy than that, really. yet you pay like it’s a single family home plus 3 different types of association fees. and association does nothing unlike when in condo..
otherwise-i think we might go for that house..
you never know what buyers like. buyers like me might like a yellow kitchen and be completely enamored with it. not to mention you can repaint, if you hate a color. not cheap, well nothing really is. I wanted to share the idea of mixing 2 yellows together to get the shade to look right on the walls. In our case we had the Benjamin Moore paint strip, and the numbers and shades are there in a row on the chip. I *think* it was 191 and 192, but this was over 10 years ago so the colors for those numbers may have changed. In my mind based on the chip, the color I wanted to see in the space was 191. When testing, 191 was too pastel, 192 was too bright. I found out that the 2 colors had different paint bases. One of the colors had a pastel base, and the other had a different base. By mixing the 2 colors together in equal parts, the color looked like I wanted when on the wall. This was an older home with plaster walls. I think that’s a great idea to mix two paints. Usually, there’s another one somewhere else– especially with BM, since they have so many fan decks! I think the problem with P Cream may have been that it is trying to be yellow, but it’s really a light gold with a strong yellow undertone. So, it was probably reading a little sickly in your bedroom. I have BM “Angel Wings” (from the Dorothy Draper Collection) in my 2nd floor, west facing laundry room…It’s makes me happy and elevates an otherwise small, boring space. The historians from the Hammond-Harwood house in Annapolis claim that Jefferson was also inspired by this grand home and its symmetry. Check it out. A lot of the grander homes in Annapolis have unexpected super-saturated colors in their public rooms…all the better to impress people with! I looked up the H-H House and see a very pretty yellow room. Love the way the antiques look against the color! When we moved in several years ago, we left the family room and sun room with the original yellow color (yellow, but more golden than bright yellow). Hawthorne yellowish. But after a several years of loss of my dearest ones in quick succession, the golden color warms my soul. We just installed cheetah carpet that pulls it together in a frisky way! I also created a Girl Cave with lovely creamy caramel walls that are so soothing and restful for a good night’s sleep—old sepia family portraits and my beloved blue and white–and work at my great grandfather’s roll-top desk. It is joyful! I was very, very happy while working on the post. haha! I love it when someone is passionate about a color(s). I like so many and didn’t realize how much I like blue, until recently. But orange, in particular has gotten such a bad and unfair rap. I wrote a post about it a while back to explain why and of course, there’s a lot of wonderful orange room candy. Oh wait. These posts explain the issue. And this one has the orange candy, although the others do too. Chrome Yellow is an impressive color, although it might be too energizing with a room one has to live in. 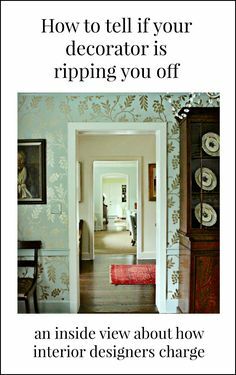 You have to be careful when decorating with yellow–you don’t want people to be reminded of the story The Yellow Wallpaper. Soft yellow makes my heart go a flutter, whether it be roses, a T-shirt, an egg cup, or walls next to glossy white trim on paned windows and crown mounding. It is the perfect neutral for me, because I’ve found it goes with everything and is the perfect backdrop for anything. The stronger yellows are very strong and I think need other strong colors beside them. I guess that’s too much strong for me, too bold. I always think it’s about balance. And while I think the strong needs strong, it also needs calm. That’s why I think that William’s room works so well. It has that balance and also areas of cool and calm. Plus, it’s just so, so stylish and I’m a sucker for Chinoiserie! I think the thing that I didn’t voice in the post which is fine because I can say it here 30 times, haha, is that for yellow to work, there needs to be a lot else going on. That doesn’t mean as busy as some of these rooms. But there needs to be a healthy dose of art and white and other colors and always, beautiful lighting. I don’t think I could live with an intense yellow on my walls or even in accents. I’m afraid, personally I’m just not a fan of yellow in fashion, flowers or decor. it reminded me of many things i knew already about holidays. they’re the same. if you’re ok-they’ll make you happy. but if you’re deeply not..it’s a harsh time, actually. so yellow is a complicated color. in that regard. but when we painted the new place i deliberately decided i need a break. i still have a lot a lot of yellow accents. and my favorite roses(i love all of them though) are tea roses. even though yellow is considered bad omen for giving flowers-it signifies that life may take you apart, put a distance between you..
depends on a culture i guess. all this is very interesting. thank you for another amazing post, Laurel! I think that most of the rooms, there’s so much else going on, that the yellow almost becomes an accent. But it’s a great backdrop for other colors. I love yellow, I can’t do those saturated yellows but anyway. I painted the basement ceiling Benjamin Mooore Breath of Fresh Air blue because I am from the South and don’t have a porch. And worked very hard to get a yellow for the walls. They all looked greenish maybe because of blue ceiling. I live in PAC NW and choosing colors is hell in general, the light is so … absent… the yellow I ended up with I can’t remember the name but it’s not entirely satisfactory and pokes me in the eye every time I go in the basement, which is 7 times a day. I know exactly what you mean about saturated yellow looking green. The further north you are, the more blue there is in natural daylight. I live in Scotland, and latitude-wise, we’re further north than Vancouver, so we need to pick out colours with a hint of red to warm them up. Yeah, Sudbury is definitely a gold. Hang on, I’ll go grab my chart, but here’s the link to it.